Getting Around on the T – Local Tips! Getting around Cambridge and Boston by car can be confusing. The historical charm of the city also comes with a less-than-sensible layout of roads. While Irving House has a lot for guests, available parking isn’t always the case around town. This is a solid reason to take the subway, also known as the T! Plus, Irving House is in such close proximity to the Harvard Red Line station that the rest of the city is easily accessible. Cost: Many things throughout Cambridge and Boston are costly. With no happy hour and expensive housing, it can feel like being budget-friendly in Boston isn’t an option. 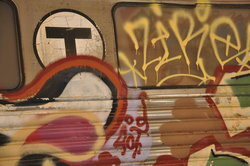 Fortunately, when it comes to the T cost is fair and in comparison to other cities, relatively inexpensive. A weekly pass will cost $21.25 and a day pass will cost $12. If you won’t use the T more than 4 times in a day opt to pay for a single ride at $2.75 for a ticket or $2.25 on a Charlie Card. Charlie Card: Most locals have a Charlie Card, a hard plastic card you tap to enter the transit gates. These cards are free and there’s a small discount on single rides when using the card. Passes or dollar amounts can be loaded onto the card at stations. These cards can be picked up in various places throughout the city. The closest place near Irving House to pick them up is conveniently at the Harvard station. Tickets: Alternatively, and useful for shorter stays, you can purchase a ticket at the station. The ticket is inserted into a slot which opens the gate. Don’t forget to grab your ticket before going through! These tickets can also be reloaded. The Red Line: To take the T into downtown Boston, the red line at Harvard is a direct shot. Simply follow signs to go INBOUND. Park St is a quick 4 stops away and will put you near the State House, Boston Common, and Public Gardens, as well as tourist info for things like hop on hop off buses. 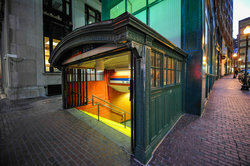 You can also go one stop further to downtown crossing which is near many shops and the heart of the financial district. 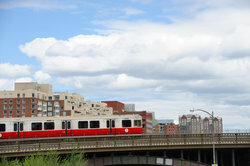 The red line also goes to Kendall Square (where MIT is) just 2 stops from Harvard. When you’re returning from downtown Boston to Irving House, go outbound and get off at Harvard. Transfers: If you need to transfer to a different train line or a bus, one transfer is included in your ride cost, though this is moot if you have purchased a day or week pass. Safety first: The T is the oldest public transportation system in the US. Don’t be surprised by older trains and maybe a few bumps along the way. If there aren’t seats available, hold on to the rail to avoid any falls (or spilled coffee). If you’re lost or confused and can’t find an employee to help, ask someone nearby. Sure, New Englanders have a reputation for being a little harsh, but we promise we are nicer than the stereotype and someone is bound to help.